I have found that the initial audit work for a new client seems to take more time and effort than the work to keep them. An initial audit can take up to 50-75 hours and involve numerous tools to extract all the information necessary to do a satisfactory job. I’m not talking about just an on-site technical audit but rather a complete audit of everything they are doing from an internet marketing perspective. It’s one thing to tell a client about the errors on their website but unless you have conducted a complete marketing audit, fixing the technical errors may not make any appreciable change in their overall internet marketing. You need to be looking into the entire internet marketing presence and what can be done to improve its performance. What are your overall marketing goals? What are your short term goals (12 months)? How do you see your internet presence supporting your marketing goals? What are your specific goals for your internet presence? What metrics do you consider important as an indication of success? Understanding the answers to these questions will help to determine the direction of your work and what the client expects from you. 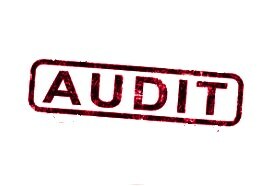 Audit Areas: So what exactly are the areas that you should be looking at in an audit? Technical On-site Audit: Of course the first thing should be to do a complete technical audit of the website. Although technical aspects of a website constitute a small factor in rankings, poor technical aspects of your website can result in search engines ranking it lower and a bad user experience can do more harm than you might expect. Begin by fixing all those spelling errors, broken links, add meta descriptions that you want to appear in search engine results, make sure your page titles are descriptive of what the page is about and take care of any load speed issues. There are numerous other errors and warning that you can repair so use a good tool for this step. I like to use SEO Profiler which provides a nice detailed report of any errors. Keyword Research: Although the current philosophy is that keywords play a small role in search engine rankings, failure to properly develop pages around commonly used keywords and keyword phrases can impact on the pages ranking. For example, if you create a page about running shoes and create descriptions about the sole, the lacing, the materials used but never use the words running shoes, search engines would have a difficult time knowing what subject to rank the page for and would simply make its best guess. Keywords should not be overused, stuffed, hidden or any other trick but should be used as in normal conversation. Knowing what keywords and keyword phrases have high search volume can assist you in developing pages that will have the chance of drawing visitors. SEM Rush is an excellent tool for find keyword(s) and keyword phrases during this step. Backlink Profile: In the Panda/Penguin period it is crucial that you conduct a detailed audit of a website’s current backlink profile to identify possibly damaging backlinks. Being proactive can ensure that a client does not receive a penalty at some future time for unnatural backlinks. Link Research Tools is my preferred tool for this step. Using the DTOX feature provides you with a list of all backlinks that can possibly be harmful however remember that you should check and evaluate each backlink before taking any action. Social Media: Any website audit should include a review of current social media activity. It should begin with determining if the client has an existing social media strategy and associated tactics that support the strategy. It should also include an analysis of Likes, Followers, comments, shares, etc. to determine if the strategy and tactics are focused on potential customers. Remember that a million Likes that are not your target customer base brings nothing to the revenue pot. Blogging: Any audit should include a review of blogging done by the client. You should be checking to see if the articles posted are quality, optimized for keyword(s) or phrases, how many comments, shares, Likes, and how many views they received. Blog articles should follow the 80/20 rule in that 80% should be to educate, inspire and entertain and 20% to promote your business. Also check to ensure that comments are not filled with follow links or spam which can result in a Google penalty. Lastly check to see if the blog is updated on a regular basis and the articles are relevant to the website. Mobile site: Today almost ½ of all internet searches are conducted on mobile devices. An analysis of a mobile site (if they have one) should be conducted. Many website have the main site viewable on a mobile device however, navigation is difficult due to it being so small, pages are so large that the viewer must scroll left and right and the use of scripts can be a problem with many mobile devices. A mobile website should be a mobile friendly website that provides basis information someone on a mobile device would be seeking (phone number, email address, location and map, etc.) and not simply a small version of the main website. Page analysis: The final portion of any audit should be a review of those pages created as landing pages or those that receive a significant number of visits. Here you will be checking to see that the page design is pleasing and easy to navigate, there is a distinctive call to action on the page, that social media icons are included below the fold, that links are kept to a minimum and that the content is quality and relevant to the page title and description. Keep in mind that the content and user experience on the page can determine whether or not they convert. Once you have completed your audit you should have a listing of corrections that are needed immediately along with recommendations for improvements that can be effected over time. Remember that a website audit should be conducted annually as errors will develop with additions and changes to the website.